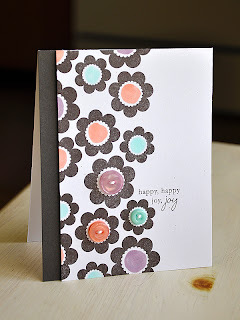 Using the flower trio image, I began by stamping a border of Smokey Shadow flowers onto a Rustic White cardstock panel. Then stamped a sentiment. 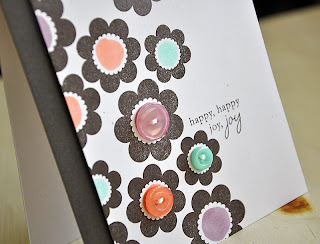 Since I stamped a lot of flowers I really didn't want to over do it with the button centers. So, I began by coloring each flower center in with a few Copic Markers (BG11, R02 & V95). Just a quick circle, didn't have to be perfect. Then to create more of a focal point around the sentiment I chose to embellish a few flower centers with coordinating buttons. Once I finished with the stamped panel, I attached a Smokey Shadow cardstock strip to a Rustic White card base and then layered the stamped panel using dimensional adhesive. 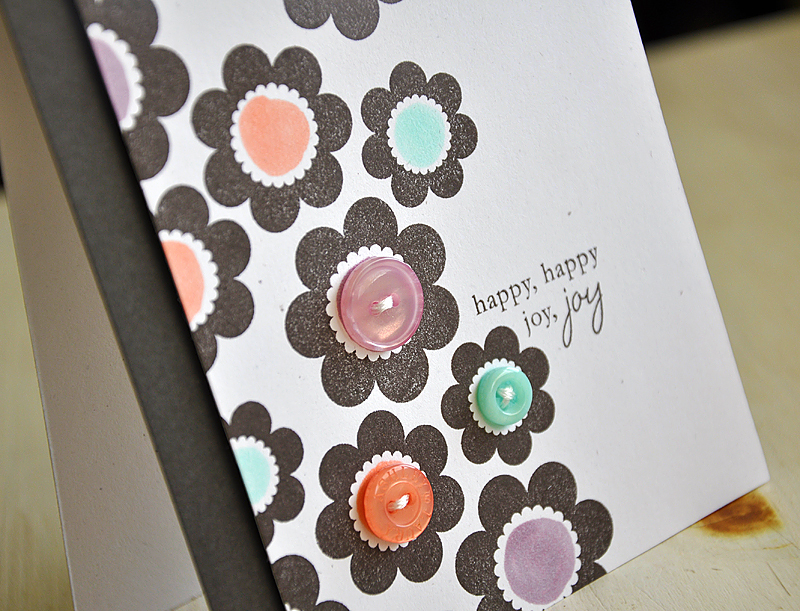 Love your button flowers! Such a pretty card! who knew charcoal grey flowers could look so pretty. What a great job, again. Very pretty! I love the colors you chose to work with! I'm still confused as to how the smokey shadow cardstripe was adhered to the card. Great idea to colour the centres. TFS. 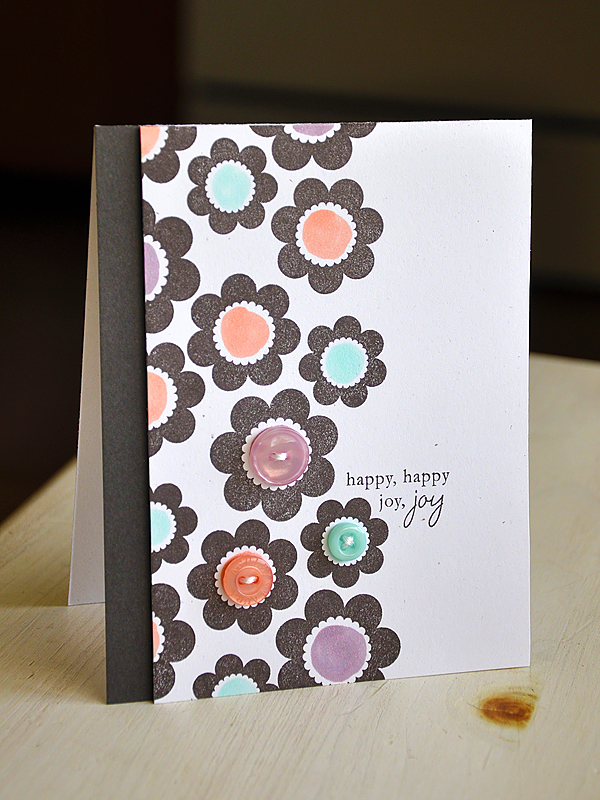 Great card, Maile ~ love the look of the Smokey Shadow cardstock strip to the left of the flowers!